GREENSBORO – A trio of senior football players from the Greater Hickory area’s three conferences – two of them from Hibriten High – will play in the East-West All-Star game in Greensboro in July. 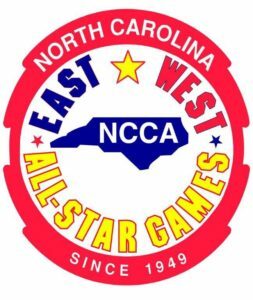 The rosters for the July 17 game at Grimsley High were announced Thursday by the game’s sponsor, the North Carolina Coaches Association (NCCA), and the three area picks are on the West roster. The game pits last year’s top seniors from the East and the West and is part of the annual East-West Week in Greensboro. Offensive lineman Josh Baker and running back Marquwone Jones of Hibriten were selected, as was Watauga defensive back Jackson Greene. The West coaching staff is led by Johnny Sowell, head coach at Monroe (his alma mater) and he is a former player at Appalachian State. The West assistants are Johnny Boykin of Jamestown Ragsdale, Joe Glass, the new head coach at Lincolnton, Luke Hyatt of Piedmont, Mike Wilbanks, named Shelby’s new head coach this week, and Scott Wood of Elkin.